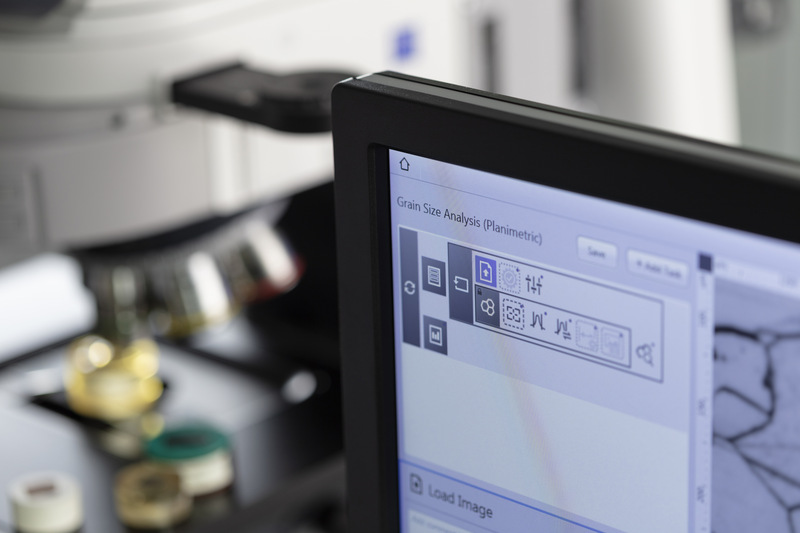 Zeiss Zen core is a powerful software suite for microscopy imaging, automated analyses and multi-modal workflows in connected materials laboratory environments. With the new release, materials researchers are now even more efficient. The software is not only used as a powerful tool for image analysis and interactive control of microscopes. As a lab infrastructure solution, it enables multi-modal workflows in connected lab environments with a single general user interface (GUI). The new core module Non-Metallic Inclusion Analysis completes the metallography and materials modules. This module helps to identify the type and number of non-metallic inclusions (NMI) in steels aiming to meet international standards. As impurities or defects can cause a component to fail or impact its tensile strength, toughness, and fatigue, this is an important measure in the quality assurance and manufacturing process of steel and other metals. Intellesis for image segmentation using machine learning is now a core software module. Images that had to be processed manually can now be segmented automatically which provides the user with more time for the actual image analysis. With Connect now also integrated into the suite, users organise and visualise different microscopy images and data from the same sample in their context all in one place. Data Storage enables central data management. This means experts and non-experts alike can share instrument presets, workflows, data, and reports with ease. They can separate image acquisition from post-acquisition works, outsourcing analyses to separate office workstations. As a result, the microscopy workstations can be used more efficiently for image acquisition. Since all data can be accessed from different systems and locations, Data Storage facilitates connected work in multi-user laboratories. The new modules now integrated into Zeiss Zen core are a further step to developing the imaging and analysis software suite into a comprehensive infrastructure solution for networked materials laboratory environments.